Two of the accused escorted to the courtroom as one looks to the arch where family and friends gathered. 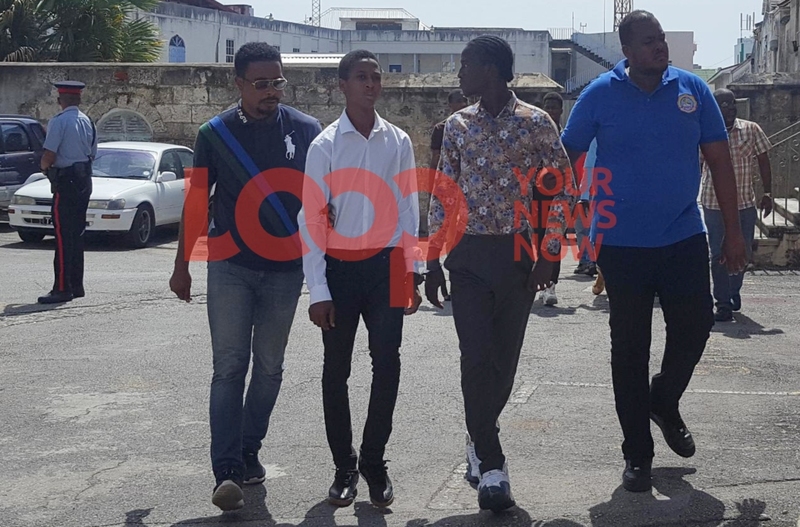 Family members of the 'Bread man' gunned down last week and those of the four young males accused of his murder, converged under the stone arch to the District 'A' Magistrates Court from early this morning. 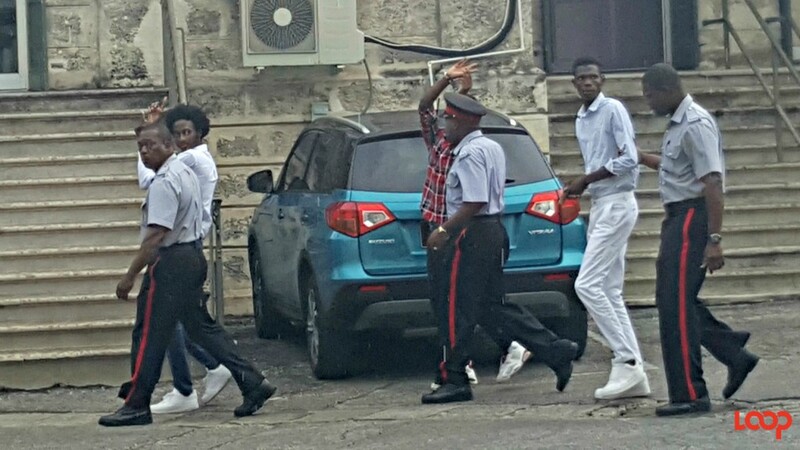 Just after noon, however, the three teenagers and a 20-year-old left the doors of the court and were escorted across the courtyard by prison officers to the prison bus - remanded until December 13, 2018. On her knees in the middle of the courtyard, wailing loudly, was a parent of one of the teenagers. Other parents questioned why they were not called into the courtroom as the charges were read. A police officer could be heard explaining that family members are usually allowed in but somehow no one remembered to inform them. 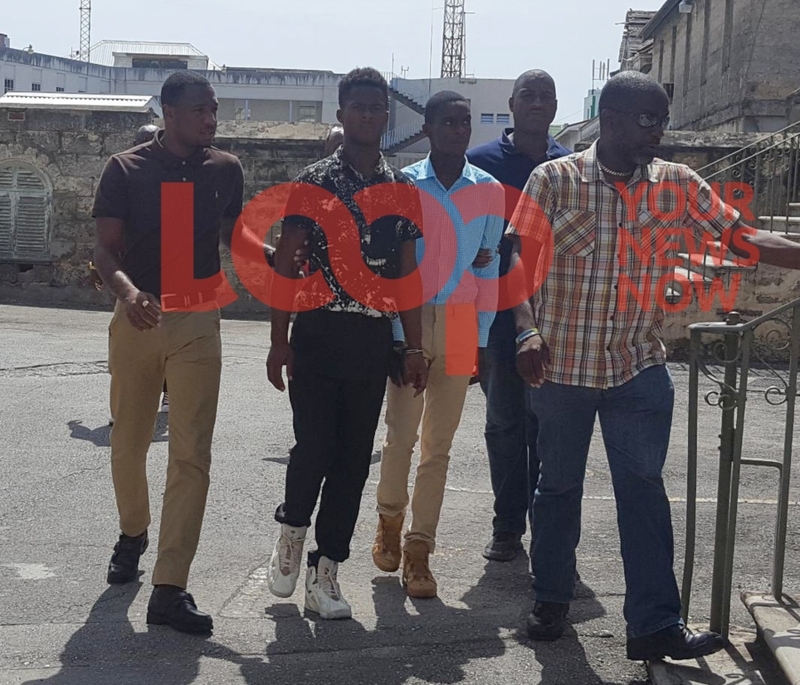 Kishmar Young, 20, of Chase Gap, Halls Road, St. Michael; Wayne Bryan ,17, of School Lane, Halls Road, St. Michael; Romario Daisley, 18, of Tramore Lane, Waterford, St. Michael and Rashon Sealy 18, of Alleyne Land, Bush Hall, St. Michael had a brief appearance before Acting Magistrate Sandra Rawlins before she remanded them. All four are jointly charged with the murder of Hayden Mayers on November 8, 2018, and for allegedly robbing three men on the same date. The items stolen are worth almost $3000 in total. No pleas were taken as all the matters are indictable. 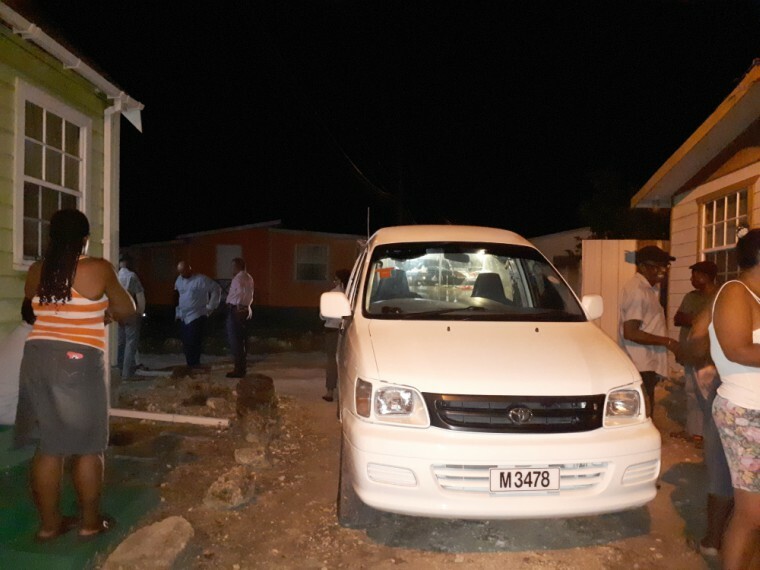 The robberies reportedly occurred at Butlers Ave, Bush Hall, St. Michael, the same day Mayers' was murdered. Did you know that family members have the right to enter the court, see their loved ones and hear the charges?